The RunStreak died peacefully at home on October 8th, 2012, due to natural causes following a 3-hour and 58-minute battle with 26.2 miles. It was 425 days old. The RunStreak was born on August 10, 2011. It accomplished many things in its short time on earth, most notably PR’s at every distance, including numerous 5ks, 10ks and half marathons. Its most recent accomplishment was a 55-minute PR at the Chicago Marathon on its final day. The RunStreak minimum was one mile per day on “rest” days, but most days were at least 5k. The moniker “Today’s 5k” was frequently used. During its early days, the RunStreak basked in beautiful fall weather and it gained strength quickly. By the time the challenges of winter arrived, it was robust and seemed like it might last forever. Its first significant threat was damage from the hills of the Seattle Half-Marathon in December of 2011. The following day, it took the RunStreak nearly 15 minutes to hobble/jog one mile. Fortunately, the RunStreak quickly bounced back to its consistent self. The RunStreak survived and even thrived in the following months in spite of the cold weather. Sleet, snow, and sub-zero temperatures never seemed to dampen its spirit and will to live. Its most serious threat came following a trip to California, where due to jet lag and time constraints, it was almost completely forgotten on April 26, 2012. Fortunately, that nagging feeling “I think I forgot to do something today…” kicked in at 11PM. One mile around the neighborhood in the darkness saved it at the last minute. In addition to being accompanied by some fantastic PR’s, the RunStreak also resulted in a year of stellar health and no injuries. While it’s impossible to say if the RunStreak alone is responsible, it certainly deserves at least some of the credit. The RunStreak was going strong right up to and including the 2012 Chicago Marathon. Alas, it gave all it had. Although the RunStreak was a fighter, it was no match for the damage inflicted by running 26 miles at a 9-minute pace. But if the RunStreak had to die, doing so in order to accomplish a sub-four hour marathon, with a PR of close to an hour, was a noble way to go. It’s what the RunStreak would have wanted. The RunStreak is survived by stronger legs, a renewed love of running, and an appreciation for the benefits of getting outside during bad weather. If there was one thing that RunStreak taught us, it’s that getting out the door is truly the hardest part, but the rewards once on the road are immeasurable. The RunStreak will be missed. In lieu of flowers, please consider donating miles to the RunStreak of your choice. Donations of Advil are also gratefully accepted. R.I.P. RunStreak. Sorry to hear of your passing. I will donate some miles, but not until my legs have recovered! It has been brought to my attention that the RunStreak won’t technically be dead until midnight tonight. However, I removed it from life support last night after heartfelt pleas from my feet and quads. So it’s gone. Trust me. R.I.P. RunStreak. You lived a long and joyous life—425 days—I had no idea you were that old. It’s back to the caffeine in order to wake up in the morning. RIP runstreak. What a fantastic job at keeping it alive for 425 days Sue! A statue of a streaking runner perhaps? Wait, I can see how that could go badly. Found your blog through a tweet from Dimity. I am in complete awe; 425 days of running – AMAZING! 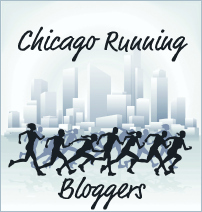 Though I’m doubtful that I could ever run daily for so long, your blog certainly makes me want to try. Congratulations! Hey Sue. I finally got time to read this. Well written post and great job on 425. A sub 4 marathon. Wow. Great job. I agree, the streak I think would want you to take a break. If I had some miles to donate I would, but I’m mostly a weekend runner these days so I’m fresh out till Saturday. Wow! RunStreak was a spunky little bugger. May her spirit live on in you and in all of us, especially as the weather outside starts to turn into ick. And, maybe you need one of those little oval stickers on your car now—instead of 26.2 inside, it could say 425.